Licorice is a root of a plant that imparts a sweet flavor. It is used as a flavoring agent in food and beverages. It is 50 times sweeter than sugar and is part of common candy. So it’s definitely a tasty way to lose weight. As far as its medicinal value is concerned, licorice is used to treat ulcers, indigestion, gastroesophageal reflux, respiratory disorders, skin disorders, infertility etc. Unlike sugar, licorice is not said to cause weight gain; instead, it promotes weight loss. 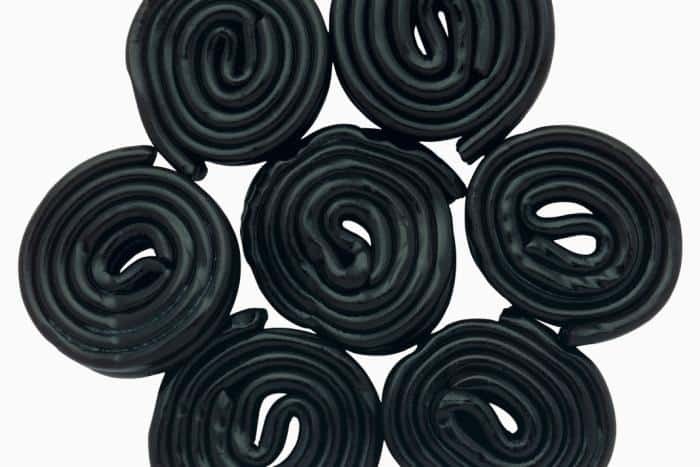 How does Licorice help with Weight Loss? How much licorice to take for weight loss? Here are a few ways by which licorice proves to be an anti-obesity agent. Flavonoids are a group of compounds found in plants that have antioxidant property. Licorice oil rich in flavonoids is proven to exert anti-obesity action by regulating enzymatic activity involved in fat deposition and break down. It decreases levels of SREBP-1 protein. This protein promotes the production of fats. It increases the levels of PPAR-alpha. This stimulates the breakdown of fats. Glabridin is a major flavonoid present in licorice extract. Animal studies prove that it prevents weight gain by suppressing abdominal fat accumulation, inhibiting the development of fat tissue and lowering blood sugar levels. Glycyrrhiza chalcones also come under the flavonoid group of licorice which demonstrate anti-obesity and lipid-lowering effect. Glycyrrhizic acid obtained from licorice is found to decrease elevated leptin levels and decrease fat tissue produced as a result of a high carbohydrate diet. 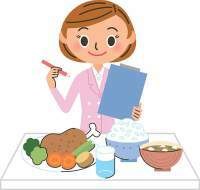 Leptin is the hunger hormone, suppression of which decreases appetite and food intake. 18β-glycyrrhetinic acid is another bioactive compound isolated from licorice. This compound is proven to reduce body weight, body fat, and lipids in an animal model of obesity. It prevents the development of fat cells and stimulates the breakdown of fats in existing fat cells. A clinical trial investigated the effect of licorice consumption on body fat of healthy individuals. 2-month consumption of licorice preparation effectively reduced body fat of individuals without affecting BMI. Another clinical trial proved that 8-week consumption of licorice flavonoid oil significantly reduced body weight, visceral fat, BMI and cholesterol in moderately overweight individuals. What does this mean? Licorice flavonoid oil reduces body fat especially abdominal fat by suppressing fat deposition and promoting their breakdown. Two of the most common targets researchers keep in mind while developing anti-obesity drugs are PPAR and AMPK. PPAR is a group of proteins that regulate carbohydrate, lipid and protein metabolism. Licorice extract containing components that activate PPAR was found to decrease abdominal fat tissue and blood glucose. Results of the study indicated that licorice extract can prove to be therapeutic in case of diabetes, obesity and high blood pressure. Glabridin is a novel AMPK activator. AMPK is an enzyme that regulates energy at cellular level and of the whole body. Glabridin prevents fat depot and lowers lipid levels in obesity by suppressing activity of genes that support production and deposition of lipids and by activating AMPK in muscle and liver leading to breakdown of fats. Licochalcone a phenolic compound obtained from licorice prevents lipid production by activating AMPK pathway which regulates energy metabolism. What does this mean? Licorice acts on the same proteins and biochemical pathways on which other anti-obesity drugs act to promote weight loss. This pharmacological property of licorice is useful in treating diabetes which is a risk factor for individuals suffering from obesity. What does this mean? Licorice’s blood sugar lowering property can help treat obesity linked diabetes. It also helps maintain a balanced carbohydrate metabolism. Obese individuals suffer from poor antioxidant status which makes them susceptible to diseases. This is where licorice’s antioxidant property can be of use. What does this mean? Antioxidant property of bioactive compounds in licorice protects against diseases caused by lack of natural antioxidants. Increasing activity of enzyme lipase that facilitates conversion of fats to energy. Positive regulation of lipid metabolism by licorice can help treat diseases such as obesity, non-alcoholic fatty liver disease, hyperlipidemia and atherosclerosis. What does it mean? Licorice effectively reduces cholesterol. Experimental studies prove that application of licorice oil can help in weight loss. In an animal study , rats were fed a high-fat diet and licorice flavonoid oil application was followed as a measure to control body weight. 2% licorice oil application significantly reduced fat tissue and prevented weight gain. Researchers concluded that licorice prevented weight gain by manipulating the activity of genes regulating lipid metabolism. In a clinical trial , healthy female volunteers were given a topical cream containing glycyrrhetinic acid and effect of the application of this cream on fat tissue of thighs was evaluated. The thickness and circumference of the thigh region reduced within 1 month of application. Scientists suggested that this effect of glycyrrhetinic acid was due to blockage of 11beta-hydroxysteroid dehydrogenase type 1. This enzyme supports deposition of fat and development of superficial fat tissue. Licorice finds its use in herbal preparations formulated for weight loss. Research proves that supplementation of L-carnitine and Egyptian herbal mixture containing licorice exerts anti-obesity and antioxidant effect. Combination of fucoxanthin (bioactive component of brown seaweed) and glabridin (a bioactive component of licorice root) reduces body weight, body fat and improves glucose levels in moderately overweight individuals. Licorice is available as peeled or unpeeled dried roots. It is also formulated as tea, tablets, capsules and liquid extracts. You can also sip on to licorice tea twice a day if you don’t plan on taking supplements. Deglycyrrhizinated licorice is also available which overcomes the side effects caused by natural licorice. High doses of licorice or glycyrrhizin (more than 20g/day) can cause serious side effects including headaches, high blood pressure, heart attacks, and water retention. Avoid licorice if pregnant or breastfeeding. If you are suffering from heart diseases, hormone-sensitive cancers, water retention, high blood pressure, diabetes, kidney or liver diseases, do not consume licorice. Do not consume licorice products continuously for more than 4-6 weeks. Consult a health practitioner before taking licorice. Licorice definitely seems to have some potential in aiding in weight loss as it regulates fat, glucose and lipid metabolism. Unlike other weight loss remedies which seem challenging in terms of physical movement or taste, this one seems like an easy option. So do go ahead and give it a try, but only if your doctor approves of it. How do I administer the licorice root for weight loss?